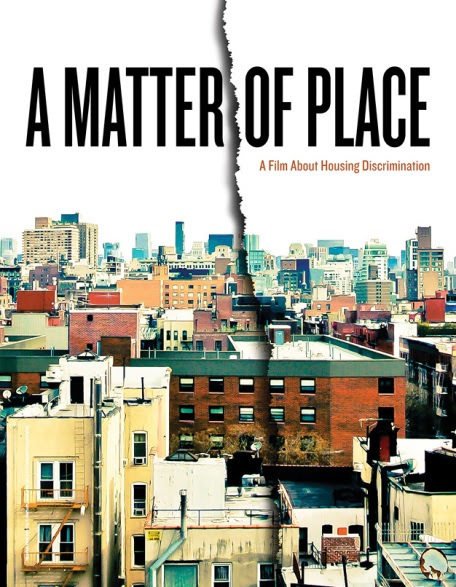 Last year, the Fair Housing Justice Center (FHJC) and Kavanagh Productions teamed up to produce a short documentary on housing discrimination called A Matter of Place. The film connects past struggles for fair housing to contemporary incidents of housing bias based on race, sexual orientation, disability, and source of income. The film presents stories of people who faced housing discrimination in present-day New York City and poignantly describes the injuries inflicted on them, as well as their resolve to fight for justice. 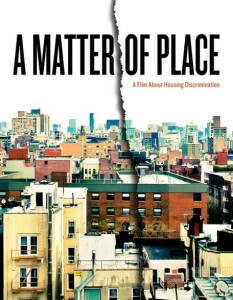 Through experts, civil rights advocates, and fair housing testers, the film also recounts our nation’s often overlooked history of residential segregation and introduces viewers to systemic and pervasive injustices that, despite the existence of fair housing laws, continue to inflict harm on entire communities and individuals throughout America. The documentary sheds a bright light on housing discrimination, one of the most shrouded and misunderstood civil rights issues in America. The 27-minute film can be viewed on the FHJC website at www.fairhousingjustice.org. Since its release in October 2013, the film has been used as an educational tool by fair housing organizations, civil rights groups, faith-based organizations, educational institutions, government agencies, and many others. In May 2014, the film won for Best Documentary (Short) in the Catskill Mountains Film Festival. More recently, A Matter of Place received Bronze Awards in the prestigious 35th Annual Telly Awards 2014 in two categories, Internet/Online Video – Documentary and Internet/Online Video – Education. The Telly Awards receive nearly 12,000 entries from all 50 states and numerous countries. The Telly Awards, founded in 1979, is the premier award honoring outstanding local, regional, and cable TV commercials and programs, the finest video and film productions, and online commercials, video and films. A prestigious judging panel of over 500 accomplished industry professionals, each a past winner of a Silver Telly and a member of The Silver Telly Council evaluates entries to recognize distinction in creative work – entries do not compete against each other – rather entries are judged against a high standard of merit. Winning films receive a Silver award, which is the highest honor, or a Bronze Award. Organizations interested in showing the film may contact the FHJC at (212) 400-8201. A Matter of Place is now available with English subtitles (for Deaf and Hard of Hearing) and with Spanish subtitles. A media kit is also available on the FHJC website for use by organizations that would like to promote a showing of the film at http://www.fairhousingjustice.org/resources/film. On Monday, June 9, 2014, Federal Magistrate Gary R. Brown approved a settlement resolving a rental discrimination case filed by ERASE Racism, the Fair Housing Justice Center (FHJC), and three African American testers in 2013. The lawsuit alleged that the owner and building superintendent of a Nassau County apartment building were discriminating against African American renters. This case resulted from an undercover testing investigation conducted by the FHJC in 2012. Several teams of comparably qualified African American and white testers, posing as prospective renters, inquired about apartments at the 74-unit Town House Apartments located at 225 First Street in the Village of Mineola, a predominantly white community in Nassau County. The complaint, filed last September, alleged that the building superintendent discouraged African Americans from renting apartments by misrepresenting the availability of apartments, not showing available apartments, quoting higher rents, and/or suggesting there could be a wait because other people were ahead of them. The investigation was jointly funded and sponsored by the FHJC and ERASE Racism, a non-profit organization dedicated to exposing and eliminating racial disparities on Long Island. The lawsuit named LLR Realty, LLC based in Port Washington, NY along with the building superintendent as defendants. In the settlement, the defendant, LLR Realty, LLC agreed to comply with fair housing laws, adopt a non-discrimination policy and distribute it to employees and agents, display the HUD equal housing opportunity poster, publicly advertise available apartments, provide fair housing training to its owner and employees, maintain rental records, and permit ERASE Racism to inspect records for a period of three (3) years. Finally, the owner agreed to pay $165,000 to the plaintiffs in damages, costs, and attorneys’ fees. The plaintiffs were represented by Diane L. Houk and Samuel Shapiro with the law firm of Emery Celli Brinckerhoff & Abady LLP.